In another shocking incident, a top cop of Uttar Pradesh police allegedly attacked and thrashed an inter-faith couple in Saharanpur. The policeman assaulted them verbally and physically. The Deputy Superintendent of Police Ashok Kumar Dixit assaulted the couple. The video of the cop assaulting the inter-faith couple has been surfaced on social media. 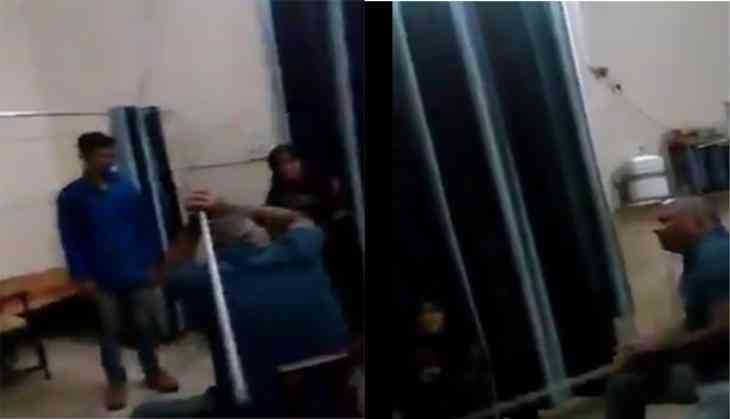 In the video, it can be seen a couple is brought into a room inside a police station, where they are purportedly beaten up. The DSP is seen using profanities, and asking the visibly terrified girl if she was married to the man or not. Although the couple has not filed a complaint, assistant director general of police (railways) Sanjay Singhla has initiated a probe into the matter and an inquiry committee has been set up. Dhanteras 2018: Dhanteras puja, shopping muhurat and method; know what to buy on Dhanteras and when? READ NEXT >> Dhanteras 2018: Dhanteras puja, shopping muhurat and method; know what to buy on Dhanteras and when?